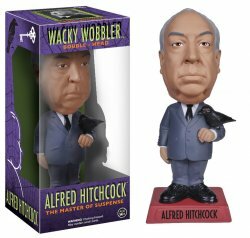 Funko presents this Wacky Wobbler Bobble-Head featuring an outstanding likeness of film legend and The Master of Suspense: Alfred Hitchcock. 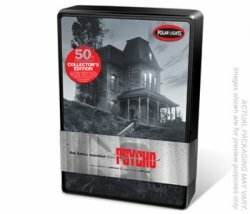 In a career spanning over half a century, Sir Alfred Hitchcock would earn the title, "The Master of Suspense." His innovation and style defined the psychological thriller. Through television and over fifty feature films, his dark vision and gallows humor have placed him among the greatest film directors of all time. Collectors Note: We pick each one directly from the manufacturer carton. Some corners and edges of the display boxes can have very tiny chips or tears. We'd rate their condition as C-8 Very Good to Near Mint.